Global oil prices have fallen sharply. From 2010 to mid-2014, world oil prices had been fairly stable at around $110 a barrel, but have now risen to around $50 per barrel. This influences future projects in the world. In Indonesia, the government postponed exploration projects (upstream). The government instead concentrated on developing projects downstream, such as TBBM (Terminal Bahan Bakar Minyak). At the same time, the Government develops project Refinery Unit, but focused on developing Security Systems. The scope of work for a Security System is: CCTV, Access Control, Barrier Gate, Public Address/General Alarm (PA/GA) System and Radio. CCTV and Access Controls are more widely used in Indonesia today. For this project, we capitalise on the opportunities to provide components for CCTV and Access Control. CCTV and Access Control need a control panel. This control panel consists of Junction Box, Power Supply, Terminal Block, Cable, FO Converter and Surge Protection Device. Many brands exist in Indonesia, like Honeywell, Axis, Samsung and Pelco, to name a few. But for this project, the end user (pertamina) specifically needs a System Integrator, which is responsible for the design, installation, FAT, SAT and Commissioning. We conducted a presentation for System Integrators in Indonesia where we explained the Junction Box, Terminal Block, FO Converter and Surge Protection Device. At January 2017 we received PO from System Integrator for Junction Box, Terminal Block and Surge Protection Device for project Refinery Unit at Pertamina Cilacap. The Integrator needed GRP Junction Box EXE standard. Phoenix Contact has SS and GRP. System Integrator needs SPD for power, Cat 5 and Cat 6. We can provide complete SPD. After that, we got PO for Surge Protection Device for project Refinery Unit at Pertamina Balogan. So for the next project we will try to offer a solution package. We will be offering complete Control Panel for System Integrator. The solution yields a lot of benefits for the customer as the system Integrator has time to focus on the other responsibilities. If the Control Panel has problems in the future, the engineering personnel would not be confuses as there is only one brand at the control panel. Imagine if one panel consists of different brands and the integrator has a lot of projects. The engineer has to check the old documents. Competitors don’t actively search for project related to Security Systems, they usually wait to get the PO from the System Integrator. A solar power plant, also known as Pembangkit Listrik Tenaga Surya (PLTS) in Indonesian, is a power generation system that uses solar cells (photovoltaic, PV) to convert sunlight into electrical energy. Indonesia has vast landmass, a lot of which are remote areas. Thus, it is not possible for all to be connected to the grid (PLN = Perusahaan Listrik Negara = State Electricity Enterprise). However, with abundant sunshine all year round, Indonesia has the ideal setting with a high potential for solar power. Currently, there are hundreds of small islands in Indonesia that have been installed with a Centralized PLTS. For islands or remote areas that receive general government assistance, the standalone PLTS have an output capacity of 5, 10, 15 and 30 kWp. Called a standalone System or Off-Grid System because the system relies solely on solar energy as the main energy source. It utilizes a solar module circuit to generate electrical energy in accordance with the needs that have been planned. Solar energy can be converted into electrical energy through the use of solar cells (photovoltaic). Solar cells are components that can convert solar light energy into electrical energy using the principle of the Photovoltaic effect. The working principle of the photovoltaic effect is the emergence of an electric voltage due to the connection or contact of two electrodes connected to a solid or liquid system when obtaining light energy. Efficiency of the PLTS (commonly around 80% – 93%) is determined by the degree of irradiation of the sun (the greater the irradiation value, the greater the power it can generate), the environmental (mountain or sea) temperature, dust and type of solar module, controller, inverter, losses of long cables. The main function of a solar module is to convert solar energy into electrical energy. A Solar module consists of a number of silicon cells which when illuminated by the sun, will produce photons that can generate electrical current. A set of Solar Panels in one system is called an Array. Generally the most widely used solar modules are crystalline type either Monocrystalline or Polycrystalline. While thin film solar modules are still rarely used (in Indonesia). A solar cell can produce a voltage of approximately 0.5 volts. So a 12 volt solar cell consist of about 36 cells.PLTS Off-grid will consist of several solar modules according to their capacity. For example, a 10 kWp PLTS will consist of 50 units of 200 Wp solar modules or 100 units of 100 Wp solar modules. These solar module is arranged in series and parallel with certain configuration. In a solar power plant, solar panels can be arrayed in parallel to produce a larger current. Combiner boxes are used to connect the positive foot of solar panels to one another. Similarly, for negative legs. The positive foot end of the solar panel is connected to the positive charge controller leg and so is the negative leg. The resulting solar panel voltage will be used by the charge controller to charge the battery. The fuse is a component to protect PLTS / PV network system. In the event of a short circuit or over-current on the circuit or other load, it cuts the flow of electricity. A tool to regulate the current and voltage both to the incoming current and voltage of the PV panel as well as outflow / used load currents. The voltage and current entering the battery should be as intended. When either is larger or smaller than the specified range, then the battery or other equipment will be damaged. In addition, the charge controller also serves as a guard to ensure the resulting output power remains optimal, in order to achieve Maximum Power Point Tracking (MPPT). Inverter is a converter that will change the DC voltage (48VDC, 24VDC or 12VDC) on the battery into AC voltage (220VAC or 120VAC) at the output will be channeled to the load. Off-grid inverter can adjust the amount of output power based on the amount of load. so it can be used to turn on household electricity such as lamps, fans, television, etc. In a standalone system , the battery serves to store the solar energy generated during the day so that the energy can be used both in the day and night.The voltage on the battery bank PLTS is generally 48VDC, 24VDC or 12VDC. The battery type that is widely used for such applications is usually a Lead-Acid type, either OPzS (wet battery) or OPzV (dry battery). Batteries used in the PLTS system are a deep cycle type which means the battery can be discharged up to 80% capacity (80% DOD).In addition to Lead Acid, the other battery type that can be used on a PLTS system is the Lithium battery. As with any battery on our mobile phone, lithium batteries are known as batteries with high energy density which means the same volume of energy that can be stored by lithium batteries larger than other batteries. 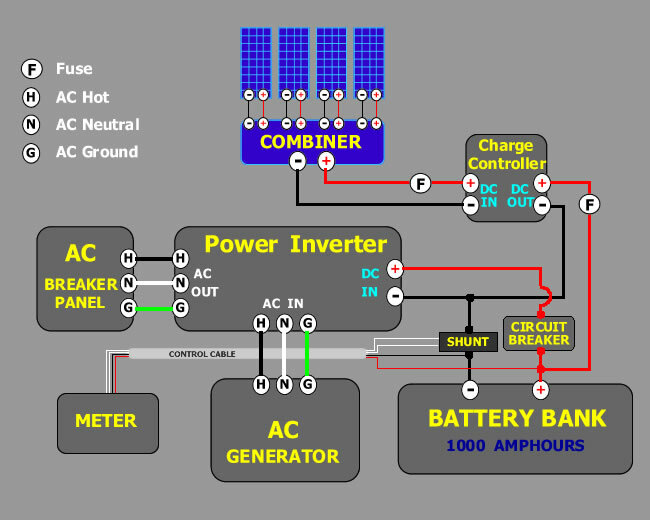 The AC Breaker is required to limit the power of the inverter so that the power being injected does not exceed the existing load, resulting in a fire. To measure the amount of electrical energy that has been produced by solar panel can be used kwh meter. If you would like to know more about which of our products are suited for solar applications, leave me your contact and I will be in touch shortly. Have you been hearing a lot about IIOT? Do you want to kick-start IIOT quickly and easily? What is the fastest and easiest way to connect up for IIOT? 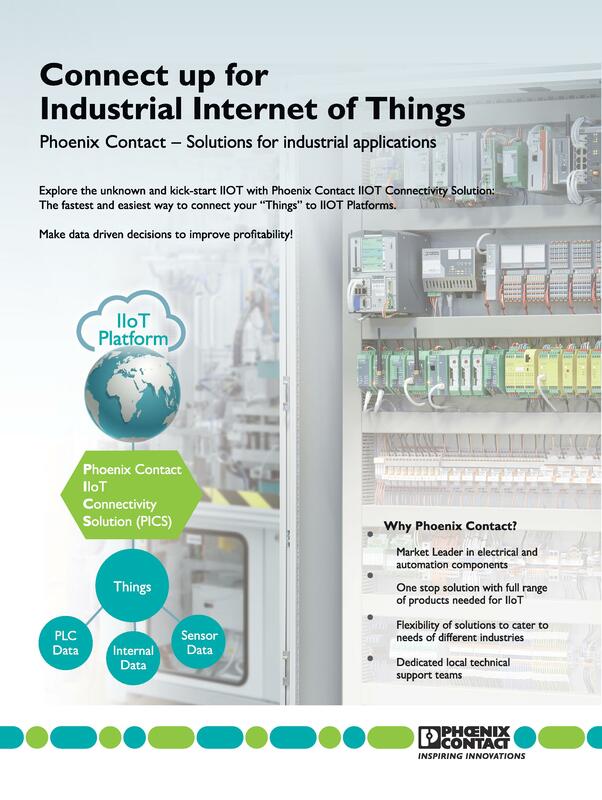 If you want to find out more about Phoenix Contact IIOT Connectivity Solution, read on! Like all revolutions, the excitement surrounding the fourth industrial revolution is increasing as the pace to create working cyber-physical systems to fully integrate big data into processes gathers steam. This is evident with more system providers emphasizing on providing a solution capable to gather and analyse big data to create actionable insights for their customers. This process is arduous and time consuming to say the least! 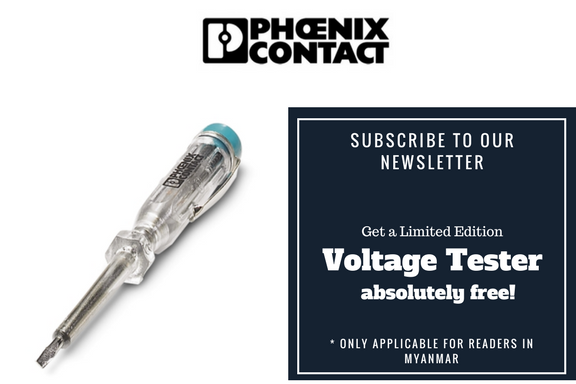 To address this, Phoenix Contact (SEA) Pte Ltd has launched an exclusive product for South East Asian market. 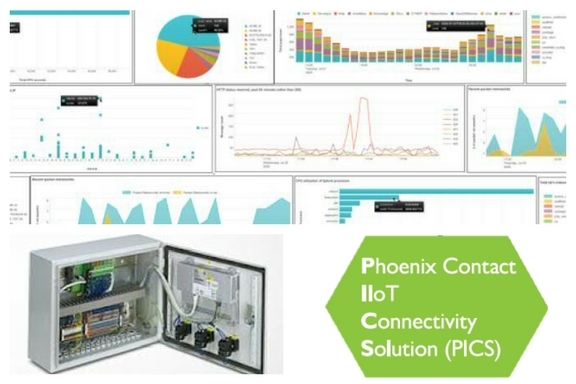 Phoenix Contact IIOT Connectivity Solutions (PICS) allows companies to explore the unknown and kick-start IIOT/Industrie 4.0/ other Future Ready Automation Trends with the fastest and easiest way to connect “Things” to Big Data Analytics Platforms. If so, contact us here today for a free Proof of Concept/Demo box! Make-Before-Break (MBB) is a term “Denoting a switch or other device in which a new electrical connection is made before the existing one is broken”. In short, it simply means, shorting the circuit before disconnecting it. You may know about MBB when purchasing a relay. But do you know there are terminal blocks designed with MBB in mind too? These MBB terminal blocks can usually be found in power industry applications. For those who are familiar, you may have come across this term (MBB) during a Current Transformer (CT) testing on a protection relay. However, do you know the importance of ensuring MBB when conducting a CT test with your Terminal? Or what the consequences will be of not having a terminal blocks that comes with a MBB feature during the test? A CT will certainly be at risk of being destroyed or even worse (Explosion!) if the secondary is left open circuit while the primary current is present. This is due to the insulation failing from the “higher than rated” voltage that occurs. Therefore it is extremely important to ensure MBB before conducting a live testing. A good terminal block with MBB feature will definitely help you provide the extra mile in ensuring safety. How does the MBB terminal blocks function and what does it look like? Here are some good examples of a good MBB terminal block. A good MBB terminal block must have the feature where shorting is always present first before you are able to break the circuit. It would be best if the terminal blocks are able to automatically perform the short circuit for you whenever it is being disconnected during the CT test. Clear indication of Short Circuit and disconnection must be visible and this allows your engineers to have an ease of mind during testing. Good MBB terminal blocks should have safe and easy to operate features. Having said that, these features can help to cut short the time while testing (shorten the risk) and ensuring the safety of the person that is conducting the CT test. So where can you find good MBB terminal blocks for your applications? Phoenix Contact, of course! With 94 years of experience manufacturing and designing terminal blocks for the Power Industry. Phoenix Contact has never stopped developing new innovative testing terminal blocks that will suits your application, at the same time ensuring safety and quality. For more info, check out this video of our PTME terminal blocks or visit our website! If you have more inquiries, please fill in the form and we will get back to you as soon as possible. Nowadays, in the age of Smart Grids, power systems are getting more complicated in order monitor and avoid system down time. End users /operators require the ability to control everything from big substations to small hangover substations; even to each MV cabinet or recloser located in remote areas such as at a consumer site or along power lines. So do you meet these requirement within a reasonable cost especially in existing substations, MV cabinets where installation space is very limited. The ReSy 104 remote control communication library is based on the IEC 60870-5-104 protocol. The remote control system enables communication between the control center and substation via a standard TCP/IP network. You can also use transmission via DSL, SHDSL, GPRS, EDGE, and 3G. With PLC for Fieldbuses and Ethernet, Phoenix Contact offers a flexible system structure that covers a wide range of application options in a centralized or distributed format. Thanks to a compact design and numerous supported protocols, Phoenix Contact PLC is ideal for applications where compact size and high-quality is required at a competitive price. Fig 1 : How Phoneix Contact’s 104 RTU works. IEC 60870-5-104 enables data transmission via a standard network, which can communicate with multiple devices and services simultaneously. Smooth communication between devices from various manufacturers. The supplied interoperability list states which functions are supported. Acquisition of basic data types, such as messages, commands, plus counter values with and without time stamp. Historical data backup ensures that data is logged with a time stamp. To find out more about our ReSy 104 solutions, just leave us your contact and we will get in touch with you shortly. The “smart grid” is a rapidly growing set of technologies, processes, devices and applications that affect and enhance the traditional electric grid. What’s happening with the smart grid also reflects developments made in communications, from Internet to cellular to wireless, as well as higher expectations from consumers regarding energy availability, rising energy costs and access to their energy information. A smarter grid will also help integrate renewable energy including wind and solar into the energy mix. To understand the smart grid, you first need to get familiar with the 125-year-old electric grid. Most people don’t think about where the electricity they’re using comes from or how it gets to their homes and offices. Generation — the creation of electrons that make up electricity. Transmission — moving high-voltage power from generators at power plants through transmission lines, reducing it down to 12,000 volts. Retail — the metering, monitoring, and measuring of power usage that results in a bill to the consumer from a utility company. Smart grid technologies and innovations occur at — and can affect — any and all steps of the electricity ecosystem. Some are more focused on the utility side while others address the customer. In the “old days” up until the last 10 to 15 years, utility workers — meter readers — were deployed into neighborhoods to read and write down data retrieved from energy meters in people’s back yards. The first major change to this process came in the form of Automatic Meter Reading (AMR), through which meters communicate via a one-way signal to a truck that is driven through neighborhoods to collect data. Collecting data used to be arduous and manual. Requiring long man-hours. 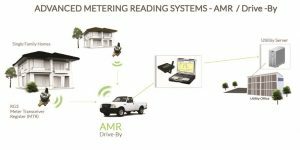 With advancement in technology, there’s the Advanced Metering Infrastructure (AMI) going beyond just reading meters and sending data to utilities — it also sends information back to the home and to the consumer. With AMI, information can be transmitted to individual homeowners as well as utility offices for record purposes. Smart meters aren’t effective without some kind of communications method to transmit data such as cellular, Wi-Fi or other wireless protocols. Unlike cellular systems such as GSM and GDMA, Phoenix Contact’s wireless system isn’t optimized for tens of users but instead for tens of thousands of “users” that are in actuality devices, such as meters and sensors. Our system is designed for extremely long-range and broad coverage so utility companies can deploy these communication networks more cheaply and reach more devices more effectively. Other interesting developments in the Smart Grid would be the availability of web portals and dashboards that present aggregated power usage data in ways that are understood even by laypersons. Such software and services, connecting to the Internet display real-time data about the power consumption via a short-range wireless system. Information like these was never thought of before and it can assist in regulating power consumption in homes or in industrial plants, saving tons from electricity wastage. Eventually, with systems like this along with “time-of-day pricing,” you will know exactly how much money you’re spending down to the minute, and you’ll be able to modify your behavior to use your appliances at different times. Or better yet, you’ll benefit from an automated system that regulates usage for you based on your usage habits and peak usage times to run certain appliances at “cheaper” times of the day. Toronto, Ontario, Canada— Ontario was the first province in Canada to introduce what is referred to as “time-of-use pricing.” The system is said to have 100% smart meter deployment. Texas, U.S.— The electricity market in the state of Texas has been deregulated, and the state has close to a 100% saturation of smart meters along with an automated system to give customers their energy usage data through smart grid technology and web portals. Scandinavia— At 100% penetration, citizens of Sweden and Finland are seeing the benefits of the smart grid, including in-home smart technologies. While the United States may be spending the most money on smart grid tech innovation and deployment, other countries making significant headway with implementation include Australia, New Zealand and parts of Europe, including Germany, Spain, the United Kingdom and France. In Asia, while Japan and South Korea are already heavily invested in the smart grid, China is poised to become a major investor. Asia and Latin America are seen as emerging smart grid markets as they roll out smart meter programs in India and Brazil. Data connection between demand (when you turn a light on) and generation (energy being created in a power plant). If you can get more granular data about usage, you can better forecast energy needs and usage, which then can be applied to create more efficient energy generation. Electricity storage. When there’s low energy demand, excess energy should be able to be stored and then accessed or discharged during peak usage periods. For an example of storage on a small scale, consider an electric vehicle — when turned off and plugged in, it’s storing energy to be used during the day when the car is running. Automated energy efficiency for consumers. Businesses do not usually have the time or inclination to proactively make their offices, factories and other environments more energy-efficient. In order to reduce energy usage and shift grid load, we need more services that automatically make smarter energy choices. The private market needs to step up to the plate. Instead of relying on government-sponsored programs, the private sector needs to develop products and/or services that can be easily packaged and delivered to consumers. For example, a telecom company could add an energy efficiency program to its offerings, adding a commercial layer to the smart grid so it becomes more accessible to consumers. Regardless of where the innovations are coming from, smart grid infrastructure serves utilities and consumers by leveraging information technology to bring advanced communications to a previously “dumb” network. By putting a greater emphasis on information retrieval, aggregation, reporting and analysis, the potential to save on energy and modify energy consumption behavior can benefit everyone.